Key Difference: Knowledge is the fact of knowing about something. It is a general understanding or familiarity with a subject, place, skills, information or situation. 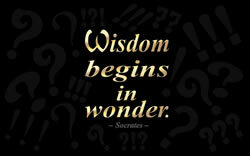 On the other hand, wisdom is an element of personal character that enables one to distinguish the wise from the unwise. Familiarity or conversance, as with a particular subject or branch of learning: Knowledge of accounting was necessary for the job. Acquaintance or familiarity gained by sight, experience, or report: knowledge of human nature. Knowledge is the accumulation of facts and it is the data that one has gathered by learning or experiencing. It is the information and understanding that one gets through education. In philosophy, the study of knowledge is called epistemology, in which the philosopher Plato famously defined knowledge as "justified true belief." It states the order to know that a given proposition is true, one must not only believe the relevant true proposition, but one must also have justification for doing so. Synonyms include: information, awareness, and understanding. “If you have knowledge let others light candles in it”. 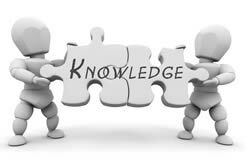 Scholarly knowledge or learning: the wisdom of the schools. Wise sayings or teachings; precepts. A wise act or saying. Wisdom is an element of personal character that enables one to distinguish the wise from the unwise. It is the ability to apply relevant knowledge in an insightful manner, especially to different situations from that in which the knowledge was gained. Wisdom is also the ability to know and apply spiritual truths. Basically, wisdom is developed and knowledge is obtained. The basic definition of wisdom is the right use of knowledge. Wisdom is the ability to recognize and judge everything; which aspects of the knowledge are true, right, lasting, and applicable to your life. It’s the ability to apply that knowledge to the greater scheme of life. It is also the ability to make a decision based on the combination of experience and intuitive. Synonyms include: sagacity, sense, enlightenment. “The world is made up of positive energy – to attract positive energy to your life. Start by giving off positive energy!" “It’s not so much what you say that counts, its how you make people feel”. Knowledge knows the difference between right and wrong; Wisdom is choosing the one that will hurt less. Knowledge knows mistakes are part of life; Wisdom is not making the same mistake twice. Knowledge knows the difference between being smart and stupid; Wisdom is that sometimes, when you want to be smart, you can make yourself look stupid. Knowledge knows how to manage your money, budgeting, spending, saving; Wisdom understands how money impacts the quality of your life and your future.